Hurricane Joaquin (wah-keen) was a strong tropical cyclone. It threatened the Bahamas and the East Coast of the United States. 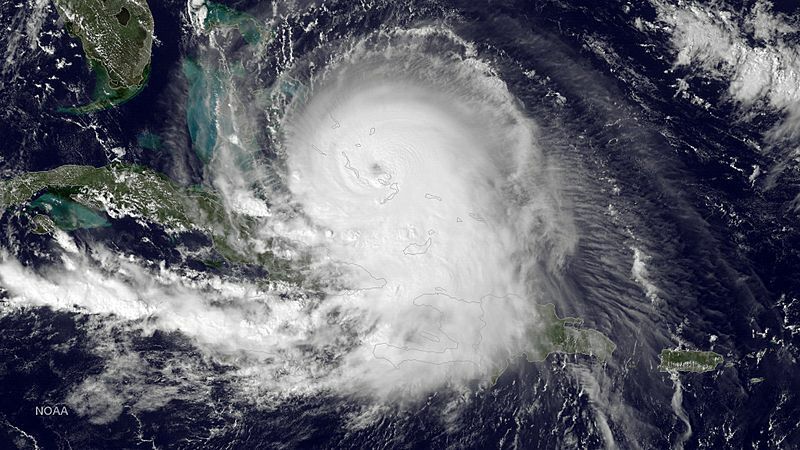 Joaquin became the most powerful cyclone in the Atlantic in 2015. Hurricane Joaquin passed over the warmest ocean temperatures since record keeping began in 1880, of near 86°F (30°C). The storm developed on September 28. It became Tropical Storm Joaquin on September 29, and a hurricane the day after. The storm later threatened Bermuda. Thirty-four people were killed in the storm, including 33 on the ship El Faro. The name Joaquin was retired. It was replaced with Julian. Hurricane Joaquin Facts for Kids. Kiddle Encyclopedia.